Guitarist and harmonica player Pat Bergeson has written, toured, and recorded with many of his musical heroes. Beginning at the University of Illinois in his home state, he moved on to New York City and picked up a Jazz Studies degree at William Paterson University. After playing in New York for ten years, he moved to Nashville upon the request of Chet Atkins who heard Pat on a demo tape. Chet invited him to play on his album “Sneakin’ Around” with Jerry Reed, and later featured Pat’s guitar and compositions on his 1994 releases “Read My Licks” and “Simpatico” with Chet Atkins and Suzy Bogguss. 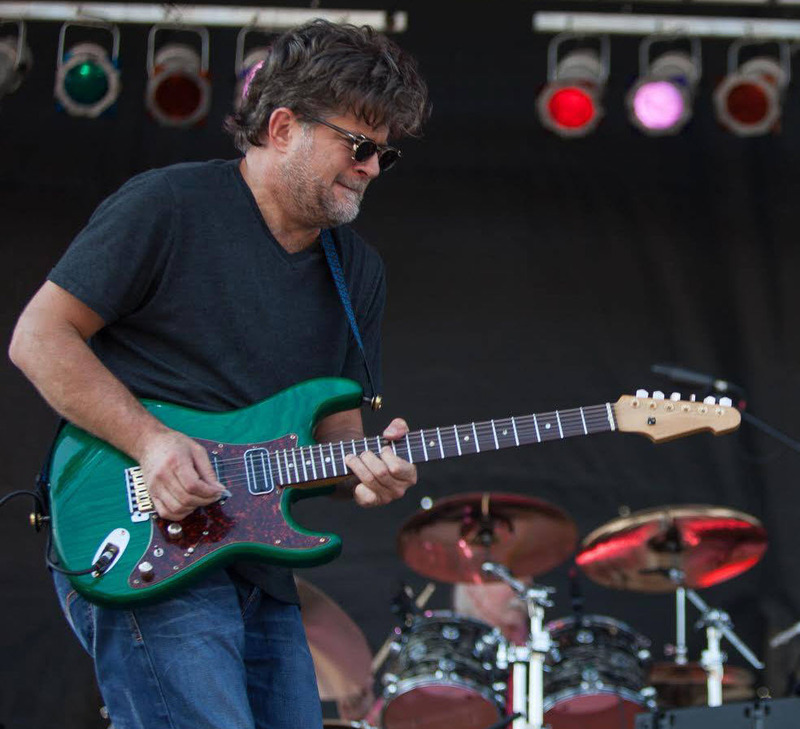 Pat continued to tour and record with Chet for several years, and was named as one of his top twelve favorite guitarists in the Oct. 2001 issue of Vintage Guitar magazine. A versatile guitarist and harmonica player, Pat’s style incorporates jazz, blues, rock and finger style and he is known for his session work with a variety of artists. He has been in the studio with Lyle Lovett, Alison Krauss, Chet Atkins, Jerry Reed, Dolly Parton, Peter Frampton, Michael McDonald, Tommy Emmanuel, Bill Frisell, Martin Taylor, Suzy Bogguss, Toby Keith, Bill Evans, Benny Golson, Joey DeFrancesco, and many others. He has toured with Shelby Lynne, Madeleine Peyroux, Wynonna Judd, Suzy Bogguss and then four years with Lyle Lovett and his Large Band. Pat has been a teacher and producer, played on many Grammy Award-winning records, and has appeared on many movie soundtracks. By overwhelming demand, Pat released “Hippy Dance!,” a fun, funky, jazz-blues-inflected party record featuring the harmonica and guitar virtuosity of Pat Bergeson along with the tuba stylings of Dan Anderson. The record also features some of Pat’s favorite musicians including Jeff Coffin, Steve Shapiro,Jim White, Roger Spencer, Jimmy Wallace, Will Barrow, Charlie Chadwick, Rod McGaha, Roy Agee andMichael Jefry Stevens. Available at CD Baby and iTunes. Pat released a CD entitled “Country Gentleman – A Tribute To Chet Atkins” featuring super-pickers Tommy Emmanuel, Richard Smith, Paul Yandell and Jon Randall, as well as Pat’s longtime friend, Suzy Bogguss. Pat Bergeson is currently active in Nashville as a session musician, and performing with soul music great,Charles “Wigg” Walker, The Babbas with Annie Sellick, and The Hot Club of Nashville, among others. Check out Pat in Gretsch Guitars: A Tribute To Chet Atkins. To attend a workshop with Pat, visit http://www.nashvilleguitarcamp.net. Pat endorses Fender guitars, Visual Sound pedals and Seydel harmonicas.